Here we have an amazing Inside Out card featuring the popular (and stunning) minimal artwork of Stacey Aoyama! 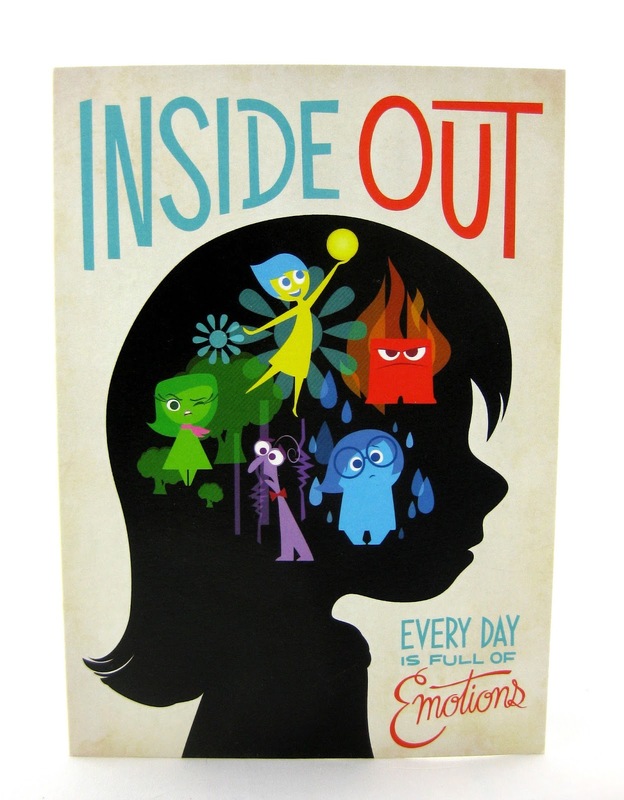 This "Every Day is Full of Emotions" design has shown up on a variety of different products, but this card is special since it's only found at the Pixar Studio Store in Emeryville, CA. 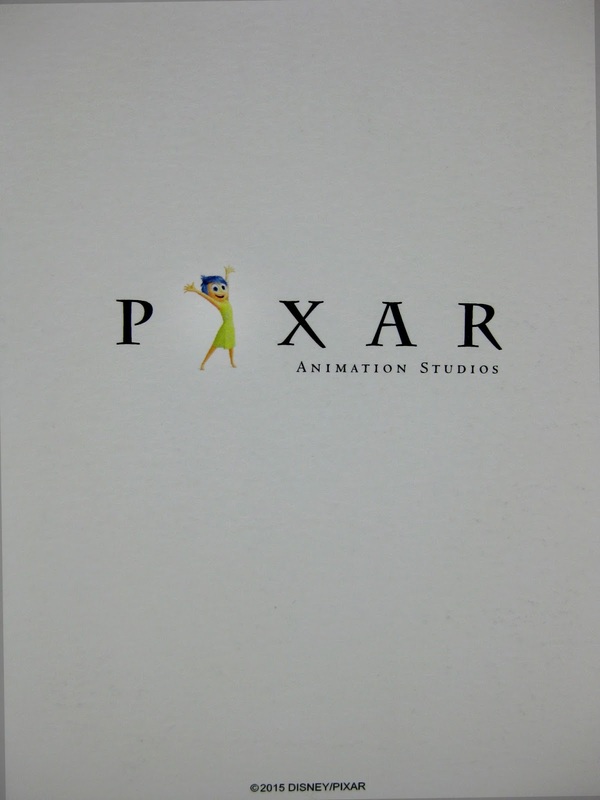 The inside of the card is blank and the back (seen below) has the Pixar Animation Studios logo with Joy in the place of the "i". It measures roughly 4.5" x 6.5". This will look great displayed along with the rest of my Inside Out collection! I definitely consider a prized piece (as I do anything directly from Pixar's Studio Store). Every since I saw this design come online earlier this year (first as a french poster with the translated title "Vice-Versa"), I hoped it would be released in some way. Though I don't have it as a full poster, this absolutely satisfies the "need". 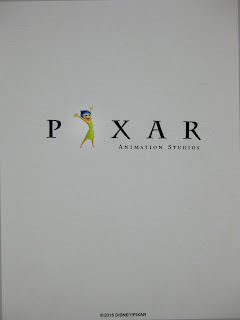 A big thanks to my good friends over at PixarPost.com for picking this up for me during their visit to Pixar a few months back. It was super generous of them and I appreciate it a ton!